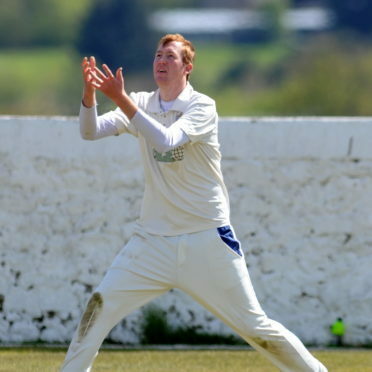 The 24-year-old former Aberdeenshire player, who moved to the English county circuit this summer at Gloucestershire, has made steady progress throughout his career. And yesterday he was included in the Scotland squad which will begin its winter programme with a week-long camp at a training base in La Manga from November 10 to 16. A 26-strong group has been selected – including 10 of the personnel who performed with distinction in the World Cup qualifying event in Zimbabwe and seven of the side that made history by beating England in Edinburgh in June. The squad has no shortage of north-based names, including experienced campaigners Kyle Coetzer and Matthew Cross. There is also the Forfarshire quartet of Scott Cameron, Chris Greaves, Christian Robertson and Rory Johnston, Johnston having enjoyed a tremendous breakthrough summer. But much of the focus will be on Neill because of the advances he has made since he started with Huntly as the prelude to relocating to the Granite City. In basic terms, the paceman has the height to trouble any opponent, given the bounce he can extract from the deadest of pitches. Whether he is nasty enough to direct the ball at rivals’ throats on a regular basis is another matter, but he has a menacing, skiddy presence about him. And he certainly served notice of that threat when he took all 10 Watsonians wickets for just 31 runs in 2015 before being called up by Scotland A. The Caledonian game is in flux at the moment, with the governing body still searching for a new coach to replace Grant Bradburn. Yet Neill encapsulates the new breed of player with the attitude that travel broadens the mind – and his own horizons. He used to work in the Dutch Mill in Aberdeen. But now, the big man is set for an exciting Spanish odyssey.